Hi and welcome to my review of Shopabot, Shopabot is the latest software in a long line of software applications with which you will be able to build Amazon affiliate stores with the click of a few buttons. I have never been a fan of these kinds of applications because they make it seem like it’s easy to make money through affiliate marketing when I know it is not. However, Shopabot is from a vendor that I respect and so I decided to check it out and write this review. One of my favourite affiliate networks is Amazons associates’ program, they are a trusted brand and as they sell nearly everything under the sun, you will find something in your niche that you can promote as an affiliate and get paid a commission. It is also the network most new affiliate marketers join as it is easy to get accepted into. However, will Shopabot help you make money with Amazons affiliate program? That is what we will find out in today’s review. Before I go on, I would like to briefly explain what affiliate marketing is as many people who come across systems like Shopabot do not really have a good idea of what affiliate marketing is or how it works. Affiliate marketing is basically an online marketing method in which individuals or companies recommend the products or services of other businesses for which they will earn a commission if a sale is generated through their effort. Affiliate marketers will be provided with a special affiliate link that will track all their leads and sales. Sometimes a fourth party is involved in the form of an affiliate network. Affiliate networks act as sort of a middleman between the advertiser and the affiliate, they take care of providing all the links and materials as well as taking care of paying commissions. A visual representation of how affiliate marketing works is shown below. As you can see it is a very simple process, but it takes time, dedication and a lot of effort to succeed in affiliate marketing. The time and dedication part is unfortunately what puts a lot of people off and why they go out seeking shortcuts. This is the reason why software applications like Shopabot are so popular, they claim to give you a shortcut on how to start an affiliate marketing business. Shopabot is a software application with which you will be able to build Amazon affiliate stores pretty quickly. It is a cloud-based software so there is nothing for you to install and they will host your store for you which will eliminate the need for a web hosting service. You can build a store as a subdomain on Shopabot.com or you can purchase your own domain name and have your own branded store which I believe is the better option. As you can see below, Shopabot has a very clean interface, its easy to use and navigate around and you get a few video tutorials on how to get started. You will also be supplied with a range of themes that will make your store look professional and look like a real eCommerce store. The main feature of Shopabot is the speed at which you can create a niche Amazon affiliate store within a matter of minutes. As soon as you have linked your Amazon API key to your Shopabot store, you will be able to import products from the Amazon marketplace. You just need to decide what you want to sell as an Amazon affiliate, enter some relevant information and your store will be filled with your niche products. Watch the demo video below to see just how easy it is to create an Amazon affiliate store with Shopabot. This is one of the main features and what separates Shopatbot from other Amazon affiliate store builders. You may be familiar with the concept, you advertise a giveaway on your website and ask people to enter their email address if they want a chance to win. For viral effect, you also ask them to share it on their social networks for more chances to win. Shopabot allows you to do this so that you can get more visitors to your site through social sharing. This feature is one of the selling points of Shopabot and although I do agree that it is a good feature, unless you have a pretty big social media following, this feature alone will not bring you instant visitots and commissions. This is another feature of Shopabot that I have never seen on any other affiliate store builders. As you may or may not be aware but every product on the Amazon marketplace has few social sharing buttons. However, you cannot see the number of shares a product has received, however, with the Shopabot viral search engine, you can. It’s a pretty cool feature that will allow you to find the most shared product in your niche and then import it into your store. 2.Free Giveaway Profits – A guide to online resources where you can get free coupons, gift cards and product samples for your giveaway. 3.Free Facebook Traffic – Small eBook on how to generate free traffic from Facebook. This is a done for you email marketing system with which you can promote a host of affiliate offers from multiple networks. It is a system that I believe is superior to Shopabot and you can read my review of it here. Allows you to create and sell 3 Shopabot stores a month. As of writing this review, I have seen multiple products that are like Shopabot, they all claim the same thing, that making money as an Amazon affiliate is hard but that they have the formula for easy commissions. That formula is apparently automatic store builders, the concept is clever, easily create a store that is professionally designed and is filled with products from Amazon with you affiliate links. You are then supposed start driving traffic to it for easy Amazon affiliate commissions. The problem is that it is never as easy as they make it seem, sure I will admit that Shopabot is slightly different than other automated affiliate store builders with its viral giveaway feature. 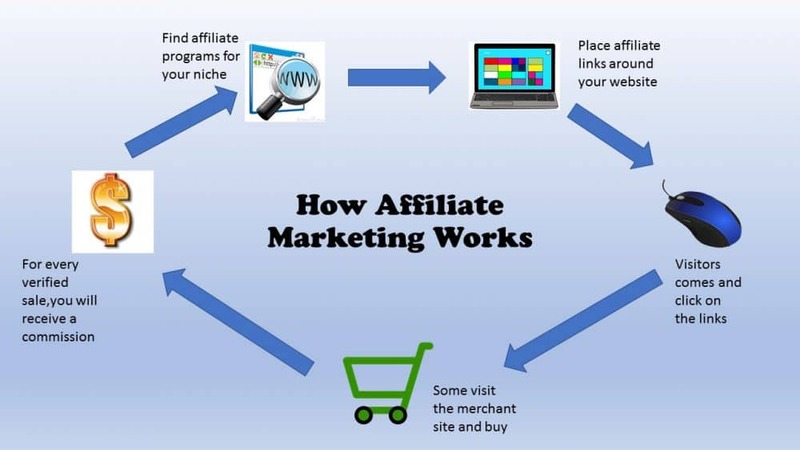 However, to have any kind of success with these types of systems you will already need a pretty significant social media following, if you do not, it will be very hard to make money with these automated affiliate stores. If you want to build a sustainable affiliate marketing business, I would not recommend this product or any other type of affiliate store builders. They may be okay for a side hustle but trying to build a proper affiliate marketing business through automated affiliate stores will not bring you long term success. There are far better ways to start an affiliate marketing business that will benefit you in the long run. Affiliate marketing is one of my recommended ways to start an online business, it is how I make money on the two websites I currently operate. If you would like to build a long-term affiliate marketing business, I recommend that you build an authority website around a subject that you are passionate about and not get sucked into these systems that promise a shortcut to affiliate marketing success. Don’t be discouraged if you have never built a website before, with today’s web technology it’s pretty simple. Click on the button below and find out how you can build long-term life changing business through affiliate marketing. I’ve never been a fan of these tools that build you a site in a few minutes. They always end up looking ugly, spammy and generic… Sites like these never get any organic traffic from Google or the other search engines. The hosting is through ShopAbot and you are right, most of these products don’t last long and customer service is not very good. I have seen systems like this before I can’t say any of them are so called “scams” (I know you didnt say that which is pretty cool). I have always been the type of person if I see a product and want to give my 2 cents I will invest in it. This shouldn’t happen every time since sometimes it really isn’t worth it and plus you can lose money. Giving your honest opinion with your own due diligence is the best action if you don’t want to invest but you know this ha. With my experience in the online world and affiliate marketing like you said there is no such thing as short cuts. In order to make money we have to invest in ourselves then put in the hard work in order for us to get in the profit zone. I can say since I know there is no short cuts and, I know these programs that offer you a. Sure fire fast way of making money online I would steer clear to. This is a way to lose money could you make a little bit of money from it if you have people to promote to? Yeah of course if you look at it that is how these so called “gurus” on the internet promoting different (usually high ticket programs) make their money fast because they already have an audience. They have a social Following on whatever platform so they can make the money we all in a way want to have ourselves. This post has some Information I can bet will others come to an informed decision on the fact that hard work is where you will make your business flourish. That’s a good review, not for so long time ago I have joined also in to Amazon’s associates’ program, so I am new at this… This topic will help me a lot, to go further with affiliate marketing on Amazon. So, thanks a lot for the review of Shopabot .